Thanks for the translation. Its such a beautiful piece of music and the last para is absolutely stunning! Nice and my hear of Arieb. Btw is something missing from this and coke studio recording! 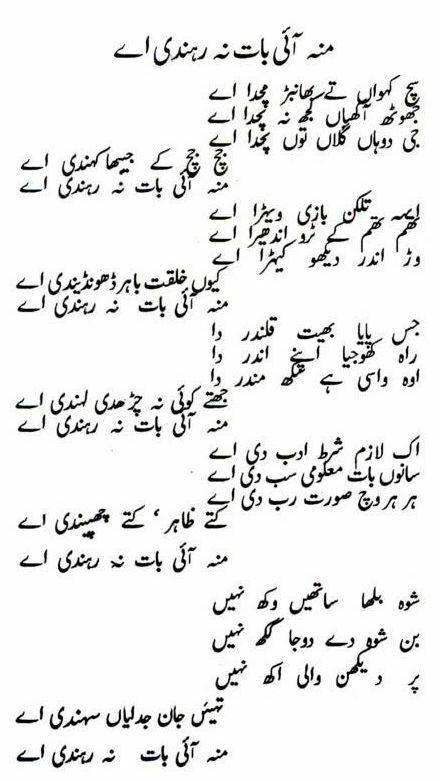 This is a beautiful piece of Bulley Shah you shared here…. Thanks alot…. Allah may bless you always and ever…. why does he say moo aayi baat-SSSS!! Kills the song!